We are open from 6:30am to 6:30pm Monday – Friday! Parents or guardians can drop off and pick up kids at anytime within that window! Our food menu features breakfast, lunch, an afternoon snack, & dinner! We have 3 different menus that we cycle through every 3 weeks! We make sure your child is fed a healthy and diverse diet ensuring they never go hungry or thirsty. All children will be offered portable drinking water throughout the day, and will be available upon their request. If you would like to see the menus please just email us or call (281) 436-9588, we would be happy to send them over. If you have special food requests we are sure that we can accommodate. Don’t miss a moment with the HiMama App! With the HiMama App parents can stay tuned with exactly what their child is up to while at preschool or daycare. Receive photos of your child and celebrate developmental milestones all with one interface. The HiMama App is an immensely powerful service the Kid Scholars Academy is proud to provide for parents. Learn how it works here! Access The HiMama App While on the go! We also believe in celebrating the joys and wonders of childhood in everything that we do. We inspire the love of learning through laughter. There are so many reasons to choose Kid Scholars Academy, discover your reason today. 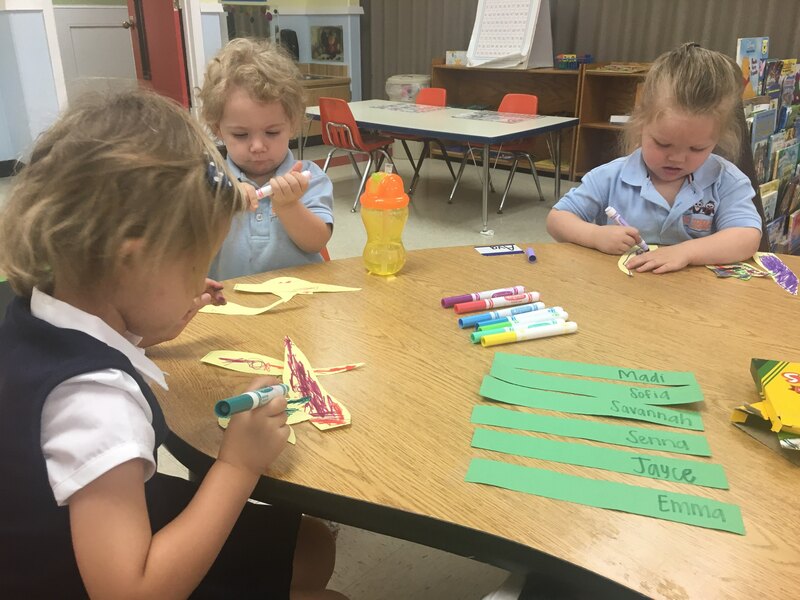 As children enter preschool or pre-kindergarten, it is critical that our curriculum shifts to accommodate a structure that is more planned, which prepares preschoolers for the type of academic schedules they will encounter in elementary school. Kid Scholars Academy recognizes most discussions about 21st-century skills emphasize the need for preschools and pre-kindergartens to be focused on character traits and soft skills such as curiosity and critical thinking in addition to cognitive skills including critical analysis, problem-solving, core subject knowledge numeracy and early literacy. We can’t imagine what the world is going to be like in 20 or 30 years from now when your children are adults in the workforce, but we can imagine that the basic skills they learned in preschool/pre-kindergarten, including reading, writing and arithmetic, will have had a major influence in their ultimate success. Even as children grow through our curriculum, we still follow the philosophy of hug first, then teach. Preschoolers and pre-kindergarteners need praise and encouragement as they learn to share, respect their parents and peers and problem-solve. We offer that solid foundation, which begins with a loving environment, that is essential for every child’s success.